California poppy or Eschscholzia californica is one of the oldest North American natural remedy for stress-induced conditions, including intolerance to sudden changes in the weather, anxiety, insomnia, depression, and a lot more. California poppy is a kind of flowering plant that is native in Western United States and Mexico. Protopine is one of the active compounds present in California poppy. Protopine has somewhat similar effects with morphine, but does not contain any narcotic morphine, which makes it not addictive. When consumed in higher doses, California poppy can cause sedating effects, however, when consumed in lower doses, California poppy can help in relieving stress and anxiety. 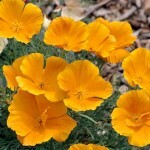 California poppy is also known to many people as “golden poppy”. It is called as such because of the plants flower bearings, since California poppy flowers are usually golden orange in color. The plant’s stem usually grows from 5 inches to 20 inches tall, and with teal colored leaves sprouting or growing from the base of the plant. 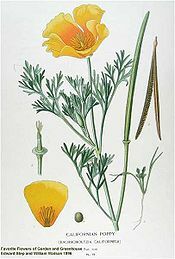 California poppy is a type of prolific plant, wherein several seeds that are dark in color can be found in the center of every flower within slender, single celled seed capsules. 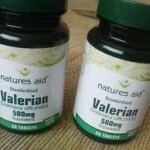 California poppy contains mild sedating properties, which can induce sleep. 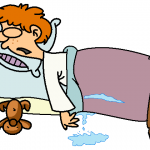 People with sleeping disorders, especially insomnia, can benefit from California poppy. California poppy is somehow related to the opium poppy (Papayer somniferum), however, California poppy does contain sedative alkaloids, but it does not mean that it also contains opium, which it does not. 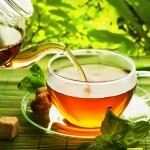 Making it a non-addictive herbal medicine. Aside from insomnia, California poppy can be beneficial in treating physical and psychological medical conditions, including anxiety, depression, and incontinence. 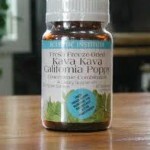 People with behavioral disorders can also benefit from California poppy. This herb has been used as a supportive treatment for behavioral disorders, including Attention Deficit/Hyperactivity Disorder (ADHD) in children. For seniors, California poppy can be used to help in improving mental capacity, memory enhancement, and improved concentration. This plant can also help in relieving tooth pain when directly applied to the affected area, due to its odontalgic properties, which are found in the plant’s root. Antiseptic properties of California poppy can help in cleaning wounds and cuts of the skin. 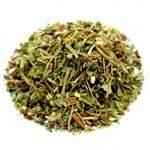 Due to its analgesic and antispasmodic properties, this plant can also be used in treating fever and cough.